419,000 cases of skin cancer in the United States each year are linked to indoor tanning. 27 year old nurse Tawny Willoughby bravely shared a photo of herself on facebook recently. Unlike most selfies that are a product of vanity and boredom, this picture was shared in an attempt to educate others on the dangers of tanning beds. 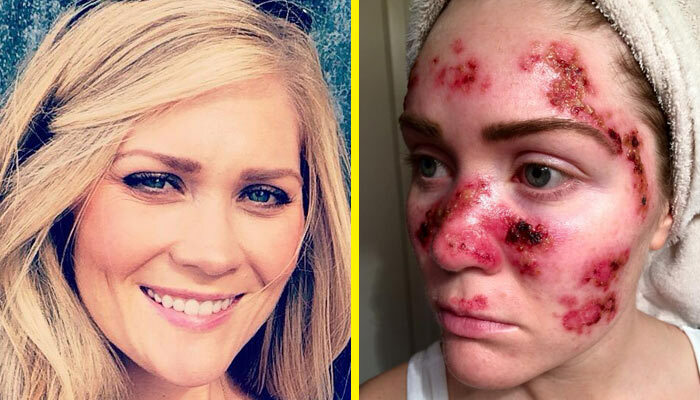 Tawny showed the world her bloodied, blistered face following her skin cancer treatment, writing “This is what skin cancer treatment can look like,”. Tawny made a dermatology appointment after one of her nursing school classmates was diagnosed with melanoma. At 21 years old, Tawny was diagnosed with skin cancer and the string of treatments ensued. She now visits the dermatologist once or twice a year for follow-up treatments. Now preaching the importance of sunscreen and opting for a spray tan over using a tanning bed, Tawny unintentionally became the new face for skin cancer awareness and prevention. While sunscreen use is riddled with pitfalls, the underlying message is clear; take care of your skin. Generally, we slather on sunscreen and lay in the sun all day assuming we are protecting ourselves adequately. More and more evidence is coming out suggesting that this isn’t the case though, sunscreen could be doing more harm than good. Numerous health agencies, including the FDA have found very little evidence that sunscreen actually prevents skin cancer. Some researchers have even found that sunscreen use is linked to more malignant skin cancers. 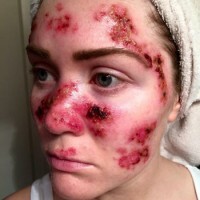 Is it really a surprise that slathering your skin in chemical ridden sunscreens is bad for your skin and your health? Sure, not all sunscreens are bad, but the vast majority of sunscreens and sunblocks on the store shelf are best avoided entirely. 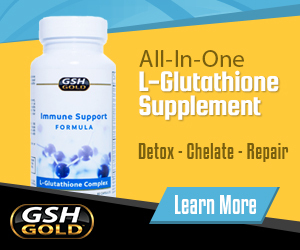 Sunscreen and sunblock can hinder our body’s ability to harness the health benefits of the sun, impairing our ability to naturally synthesize Vitamin D.
It is really quite simple, limit your exposure to the sun. Wear long, loose clothing. Wear a hat and sunglasses. Seek shade. These simple tips will help ensure you are not roasting your skin to the point of sunburn, without the use of chemical lotions. Could Probiotics be the Cure for Seasonal Allergies?